Twenty-eight years ago, they didn't really even have a name for this stuff. "Space Music" wouldn't enter into the shared consciousness of the music world until the mid-to-late '80s and although it has since branched out into various sub-genres of the electronic music tree, it remains a decidedly cult phenomenon. Although musician and producer Brian Eno is often mistakenly considered the father of space music due to his tonal experimentation in "ambient" music, the truth is that electronic music pioneers like Kraftwerk, Cluster, Edgar Froese and Tangerine Dream, and Faust cleared the path for Eno years before. Of the many musicians whose work would further the evolution of electronic music, perhaps none were as adventuresome or tireless as Germany's Klaus Schulze. Schulze recorded with both the seminal Tangerine Dream and the psych-rock collective Ash Ra Tempel before abandoning the band format in favor of a solo career in 1971. To say that his subsequent output was prolific would be understating the truth – Schulze released an amazing fourteen albums in the first ten years of his solo career. Even more incredible is that Schulze has released over 80 albums in the thirty years since he broke from his previous bands, each one a significant work of composition and style. 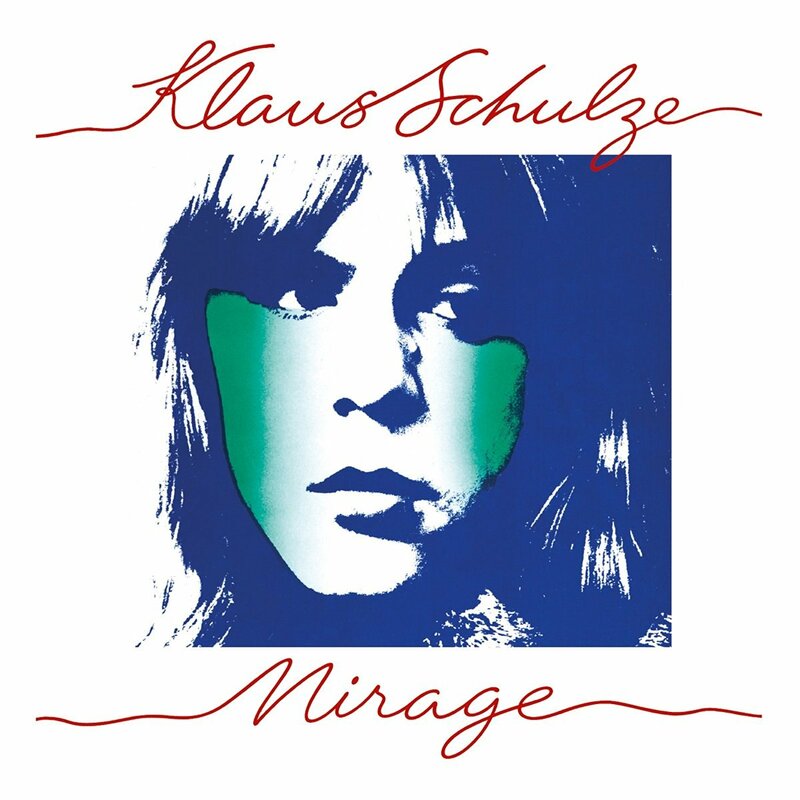 Released in 1977, Mirage was Schulze's eighth album and what many critics and fans consider to be his best. Schulze had mastered the possibilities provided by synthesizers and studio technology with a trio of early '70s albums – Cyborg, Picture Music, and Blackdance – and would go on to experiment more with tone and emotion on future releases. With Mirage, Schulze attempted to create a "winter landscape," recreating the bleak white and gray tones of the season with the instruments at hand. The resulting album is sparse, eerie, meditative and a masterpiece of form and performance in every aspect. The original 1977 release of Mirage, restricted by the vinyl LP format, featured two extended cuts, one on either side of the album. Each composition consists of several passages, which often change the direction of the piece. The first, "Velvet Voyage," is a hypnotic twenty-eight minute essay, subdued in nature and playing to the listener's sub-conscious. It is minimalist and quite beautiful, if challenging. The second track, "Crystal Lake," clocks in at slightly more than twenty-nine minutes. Embellishing the basic underlying track with chimes, synth washes and other electronic wizardry, Schulze creates a breathtaking musical soundscape that is both ambitious and thought provoking. The Inside Out Music reissue of Mirage includes deluxe packaging, liner notes, photos and an additional bonus track, "In Cosa Crede Chi Non Crede?" The nineteen-minute coda extends the sonic soundtrack of the first two tracks, its subdued electronic instrumentation causing one to strain to take it all in. With a myriad of colors and sounds, however, it is well worth the effort. A journey, of sorts, inspired by Italian novelist and philosopher Umberto Eco, the song's title translates, roughly, as "in what it believes who does not believe?" The composition is every bit as daunting as its title; Schulze composing music much the same way as Eco composes literature.